Jewellery and precious gems have played an important role for royal families all over the world – from ancient times until modern day. While the world celebrates the birth of the first child of the Duke and Duchess of Cambridge, George Alexander Louis – who will be in-line for the British throne – we take a look at some of the world’s royal gems and jewels that are rich in history and beauty. The Royal Collection is held in trust by Her Majesty Queen Elizabeth II. 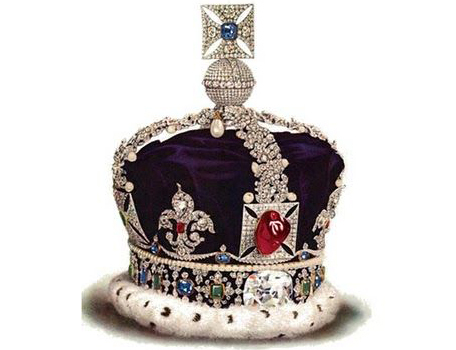 The Imperial State Crown holds many significant gems including the famous 317.4 carat Cullinan II on the front, the 104 carat Stuart Sapphire on the back, St. Edward’s Sapphire set at the top of the cross and the Black Prince’s Ruby, which is actually a red spinel. 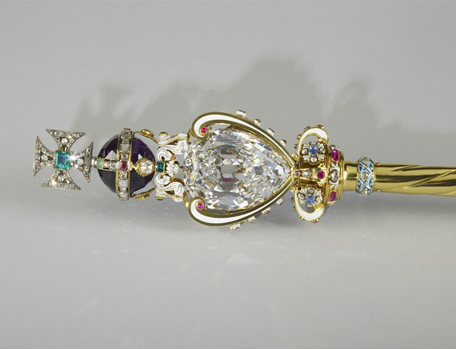 Originally made for the coronation of King Charles II in 1661, the Sovereign’s Sceptre was redesigned in 1910 after the discovery of the 530.2 carat Cullinan Diamond, also known as “The Great Star of Africa”. It is world’s largest colourless cut diamond, and the second largest cut diamond of any colour. The Cullinan I diamond can be removed from the Sceptre and worn as a brooch. This diamond and platinum tiara was made in the “Halo” style, popular at the time to suit the softer hairstyles of the 1930s. 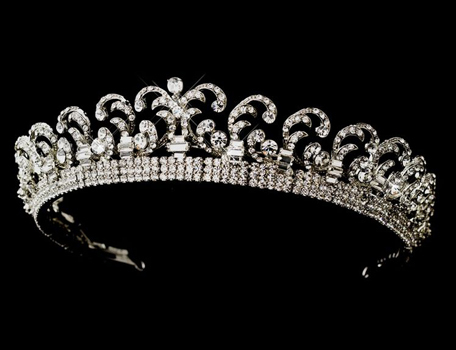 The tiara is formed as a band of 16 graduated scrolls set with 739 brilliant diamonds and 149 baton diamonds. 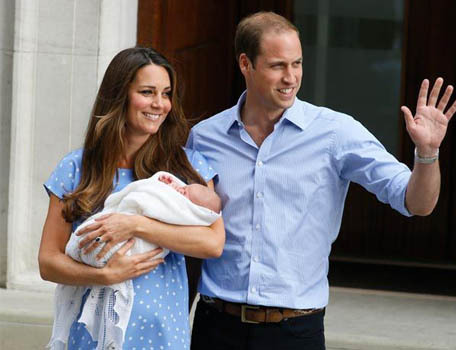 It was given to Princess Elizabeth on her 18th birthday and was loaned to the Duchess of Cambridge on her wedding day in 2011. 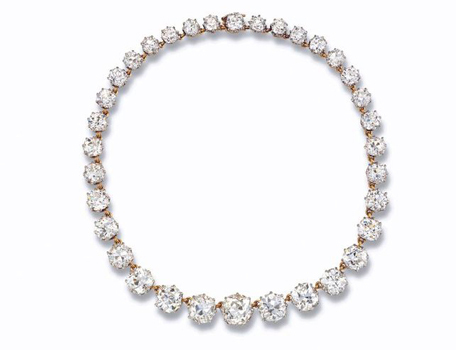 This exquisite Diamond Riviere dates from about 1900 and is comprised of 34 diamonds set in gold and silver. It belonged to Queen Mary, and was gifted to her granddaughter Princess Margaret. 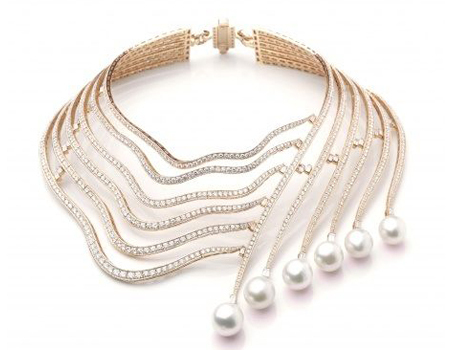 The Infinite Cascade is a breathtaking amalgamation of 1,237 diamonds and six large pearls set in 18K rose gold. It was designed by Tabbah for South African born Her Serene Highness Princess Charlene of Monaco for her wedding to His Serene Highness Prince Albert of Monaco in July 2012. 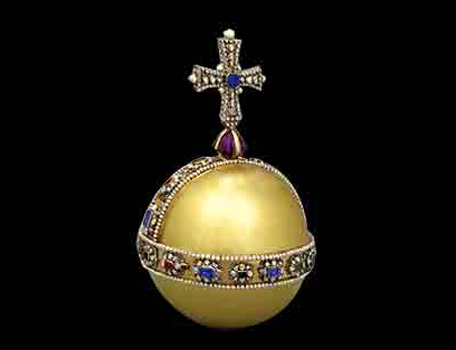 This golden globe is topped by a diamond encrusted cross and is symbolic of the world ruled by Christianity. The jewelled cross which surmounts the orb reflects the monarch’s title of Defender of the Faith. The Sovereign’s Orb is held in the monarch’s left hand during the coronation ceremony. 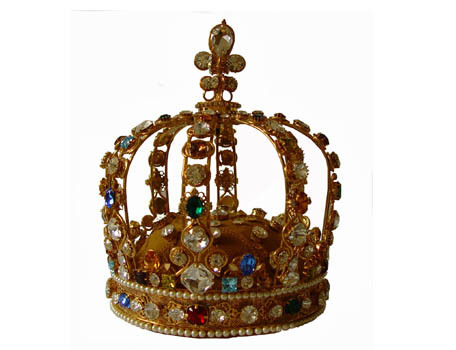 The French Crown Jewels were the crowns, orb, sceptres and jewels worn by many Kings and Queens of France. The collection was broken up and mostly sold in 1885 by the Third French Republic. The surviving French Crown Jewels are on display in the Galerie d’Apollon of the Louvre, the former royal palace in France. 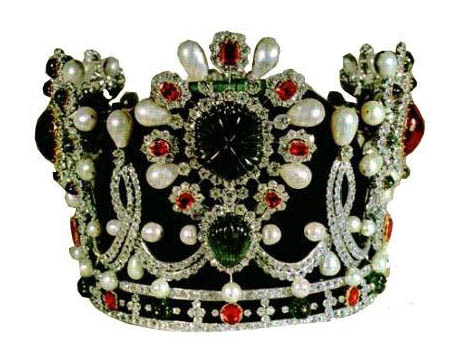 The Imperial crown jewels of Iran, also known as the Imperial crown jewels of Persia, are the largest set of displayed jewels in the world in state ownership in one location. The collection includes elaborate crowns, thirty tiaras, aigrettes, swords and shields, unset precious gems, plates and other dining services encrusted with gems. The collection is housed at The Treasury of National Jewels, in the Central Bank of the Islamic Republic of Iran.